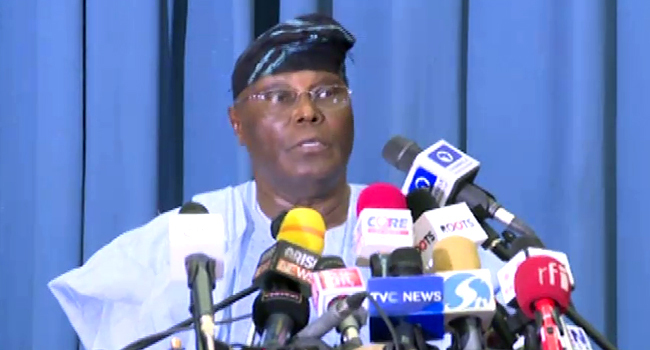 OPPOSITION political parties under the aegis of the Coalition of United Political Parties, CUPP, on Tuesday released a list of five Justices of the Court of Appeal who it said have been approved to hear the petition of the presidential candidate of the Peoples Democratic Party, Atiku Abubakar, over the February 23 election. The coalition’s national spokesman, Imo Ugochinyere, disclosed this in a statement made available to journalists in Abuja. He alleged that the list was drawn from a list of eight justices submitted to the Presidency for approval. He said the position of the CUPP was that Bulkachuwa, Aboki and Ige should immediately recuse themselves from the panel because they are likely to be biased in favour of President Muhammadu Buhari whose victory Atiku is challenging. He said while Bulkachuwa is a wife of a senator-elect on the platform of the ruling All Progressives Congress, Aboki and Ige had rejected Atiku’s application for forensic analysis of the materials used for the presidential election. Ugochinyere said, “It is based on the foregoing and the evidence in the custody of the CUPP that we immediately, categorically and unambiguously demand that Justice Zainab Bulkachuwa, Justice Abdu Aboki and Justice Peter Ige recuse themselves from the panel. “The President has annexed the judiciary and the hope of the common man is blighted. Nigerians must rise in defence of the judiciary and insist that justicemust be done in this circumstance.